Billy is well known for several reason. 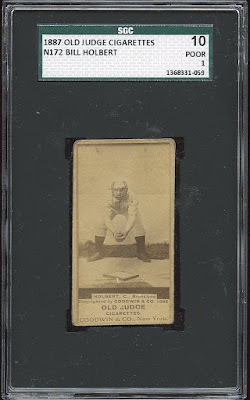 First, he was the favorite catcher to dominant Hall of Fame pitcher Tim Keefe when he played for both the Troy Trojans and the New York Metropolitans. Secondly, Holbert holds an MLB record that still stands today. In 2,335 career Major League at-bats he did not hit a single home run. Zilch! Nada! 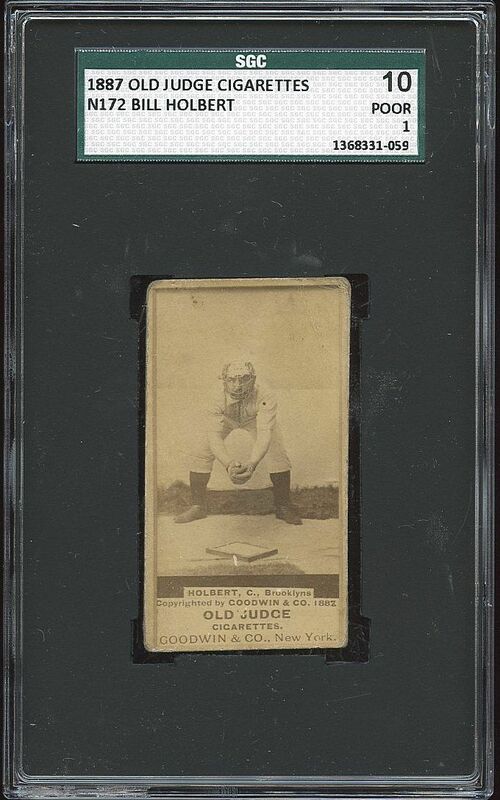 Granted, he did play ball during the deadball era -- a time period known more for slap hitting rather than homers. Still, you'd think with the large expansive outfields of the time he'd have at least one round-tripper next to his name. BTW, Tom Oliver of the early 30's Red Sox owns the modern record for most at-bats without a homer with 1,931. As a Brooklyn Gray/Dodger his time with us was largely uneventful. Holbert came over from the NY Metropolitans as part of a seven player trade/sale. He would play in Brooklyn for part of only one season, 1888, and get into only 15 games before retiring. As a Brooklyn player he would slash a measly .120/.170/.140/.310. 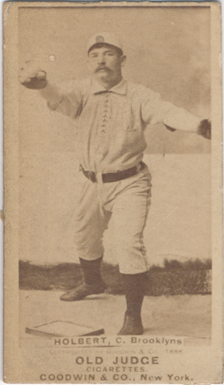 After leaving the game as a player he would go on to become an umpire for a short time; including being an umpire for the short-lived Players League of 1890. Billy would soon serve with the US Secret Service soon thereafter.